"Brilliantly told - the writing is superb and the cast brings every word to life." "A must-see for everyone who cares about religious freedom and minority rights." During the 1920s international businessmen, politicians, and social reformers mounted a campaign to eliminate the irregularities in the Gregorian calendar — the calendar that had become the standard in most nations around the world. The League of Nations, forerunner of the United Nations, became the venue for intense controversy over competing calendar proposals. Caught in the middle of the conflict was a handful of Jewish and Protestant dissenters – men who recognized that calendar reform would strike directly at the religious observance of all who maintain a weekly day of worship. 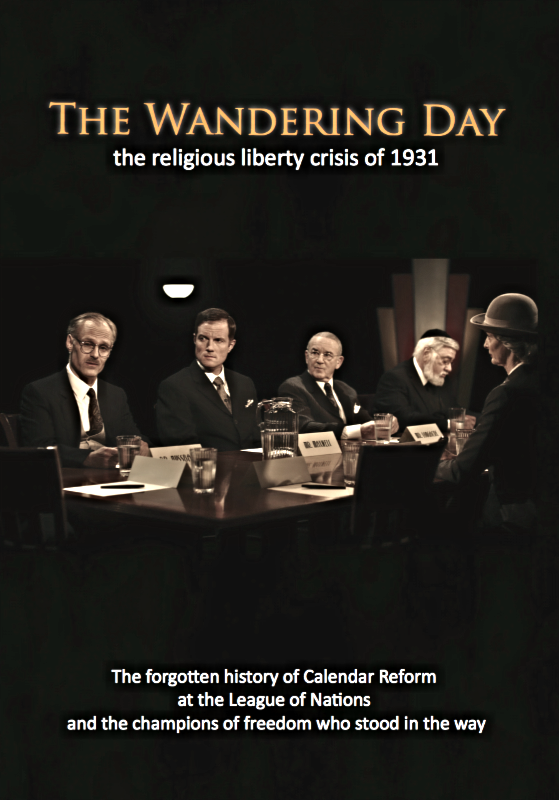 Based on extensive archival research, The Wandering Day spotlights the clash of ideas about minority rights, freedom of conscience, and religious liberty. This is a documentary presentation that will resonate with all who are concerned about these issues today. Copyright© 2016 LLT Productions. All rights reserved.